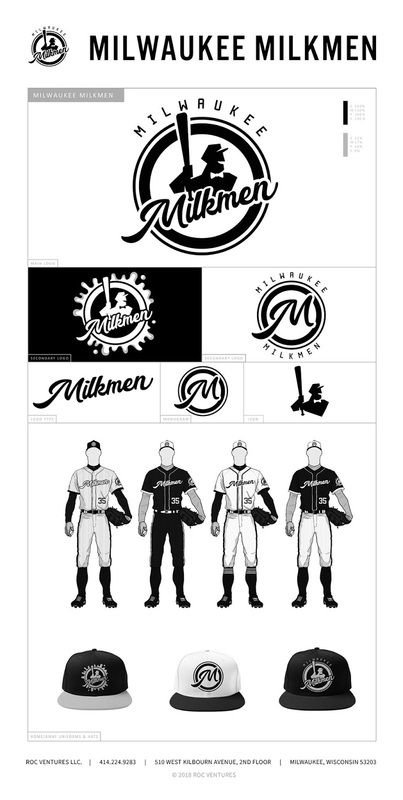 We take a break from our exploration of the past to bring you some more current baseball news. As we all know, Milwaukee was home to American Association minor-league baseball from 1902 through 1952 before being called up to the Majors, first with the Braves and then the Brewers. 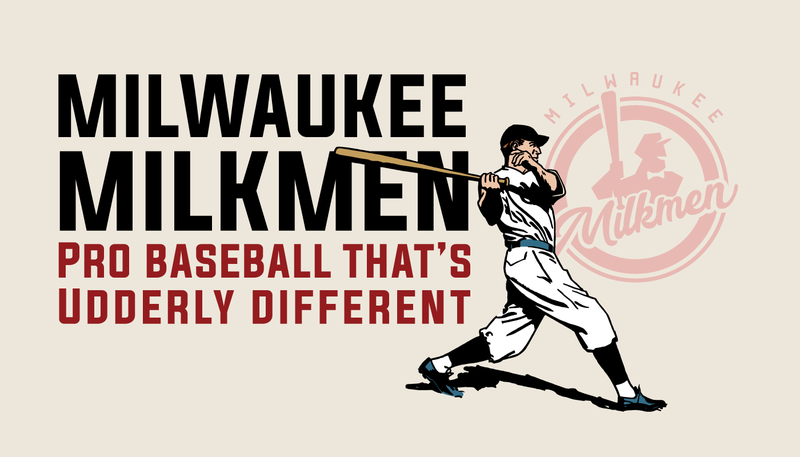 Now there's a new baseball team in metropolitan Milwaukee, bringing that legacy back. After a fashion. Let's take a step backwards. The new American Association (officially the American Association of Independent Professional Baseball) is a brand-new league that was formed in 2005. It borrows its name from our own Brewers' league, which had ceased operations in 1997. As the name states, the new AA is independent from what used to be called "organized baseball". It operates in cities from Winnipeg to Cleburne, Texas. 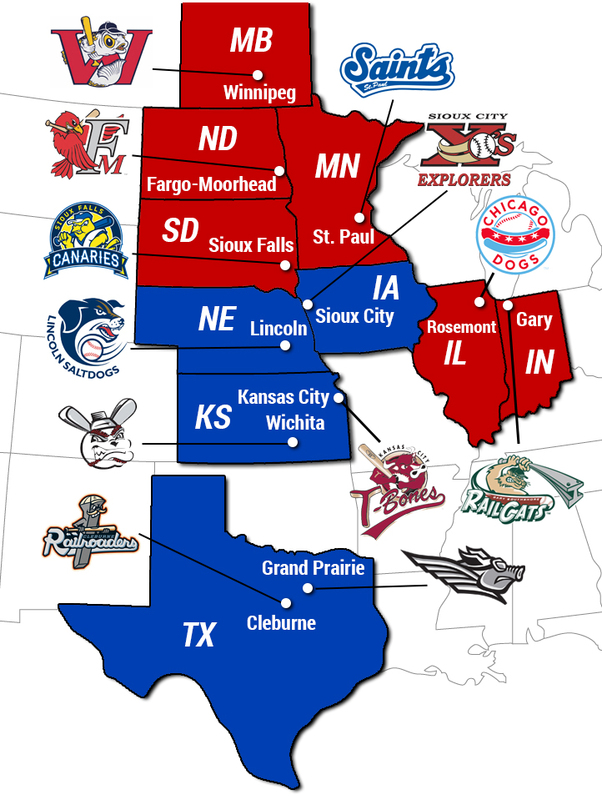 Including the former American Association towns of St. Paul and Kansas City (though on the Kansas side of the border). And now, there's a new team in town. 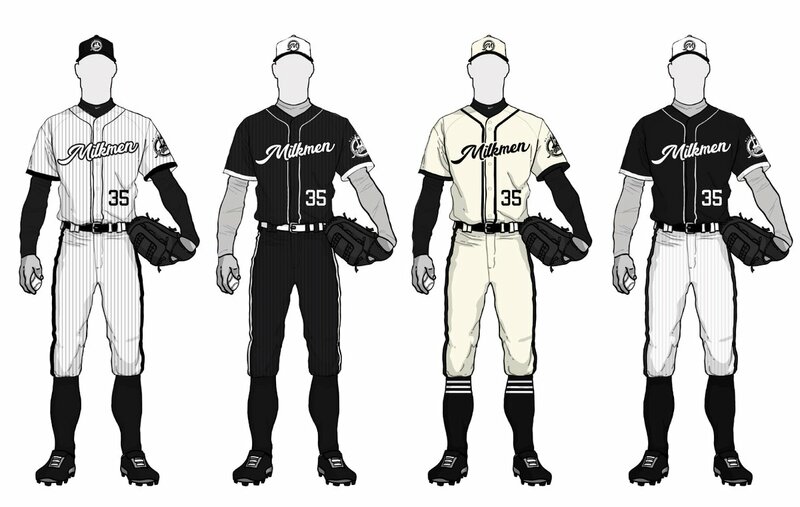 A new team with a limited color palette but an unlimited sense of humor, scheduled to play at a new ballpark under construction called "Ballpark Commons" in Franklin: the Milwaukee Milkmen. 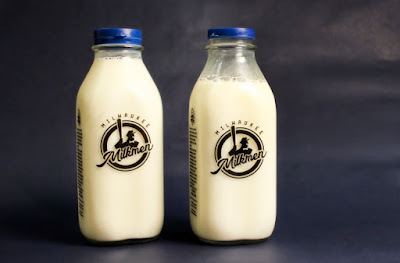 The Milkmen are already making a splash on social media (and regular old media), with an enthusiastic series of puns. Got to hand it to them, this is a fantastic campaign. 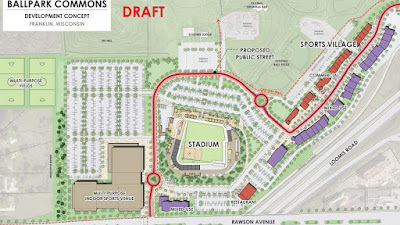 We'll see how Franklin (and the rest of Milwaukee) support this new independent club. 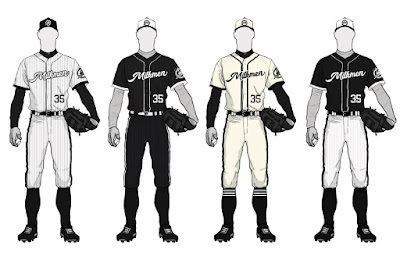 I do kind of wish they had a "Milwaukee" road jersey. The baseball itself isn't the best at this level, so clubs rely on low prices, a family-friendly atmosphere, and merchandise sales. That's where this is going to get interesting. The color palette is stark, black and white, and the logos are relatively simple. 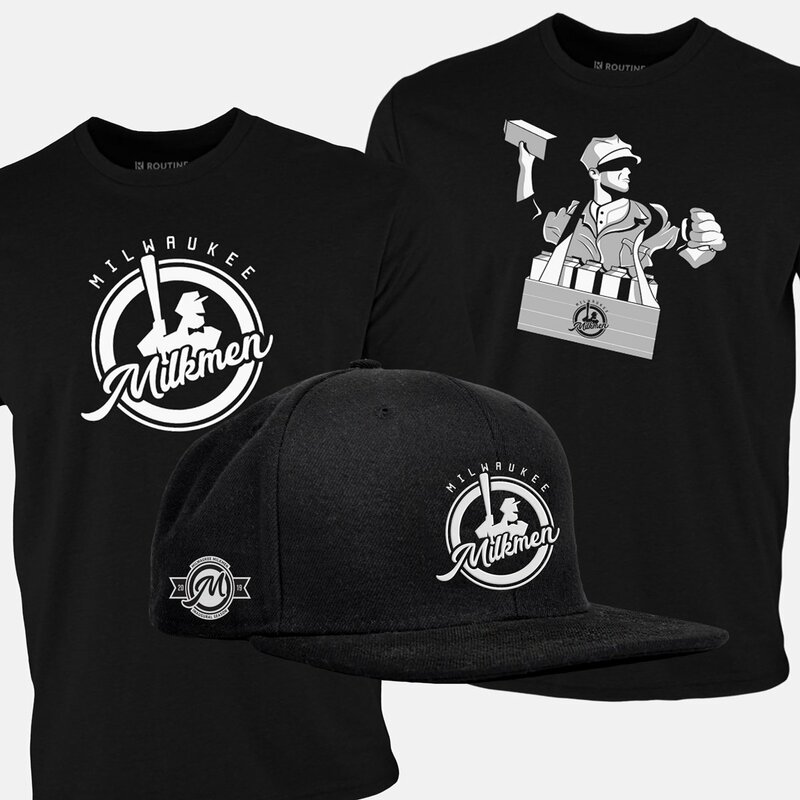 They're already >selling a promo merchandise pack for $75, with two t-shirts and a cap. I like the tossing-cartons logo much better than the regular version. The actual on-field logos leave a little something to be desired, lacking a true cap logo. 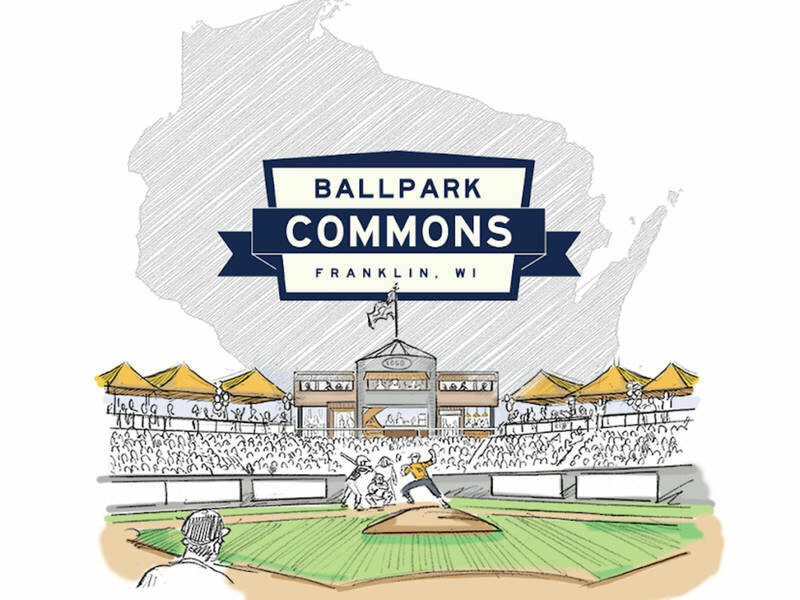 Ballpark Commons is part of a $120 million development in Franklin, including retail space, restaurants, and "hundred of apartments." 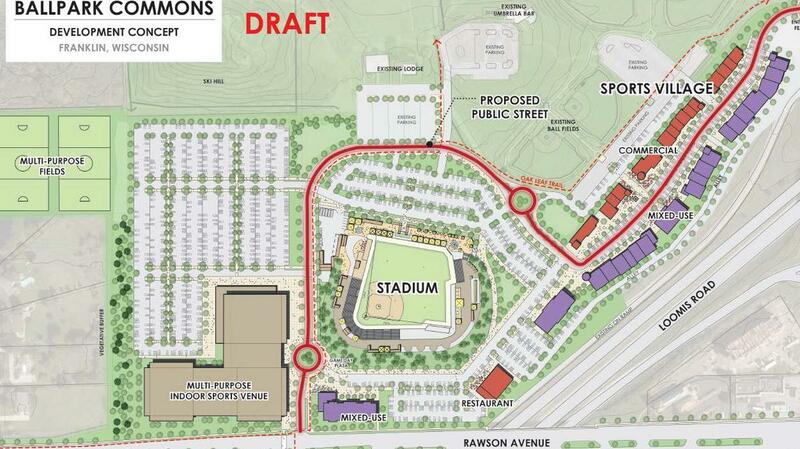 Anchored, as so many of these developments are nowadays, by a stadium. Okay, so it's southwest Milwaukee County, and not 8th & Chambers. And it's low-level independent ball rather than the top of the minors, competing with Major League clubs for talent. But still, it's nice to see Milwaukee back in the American Association again. Any American Association. 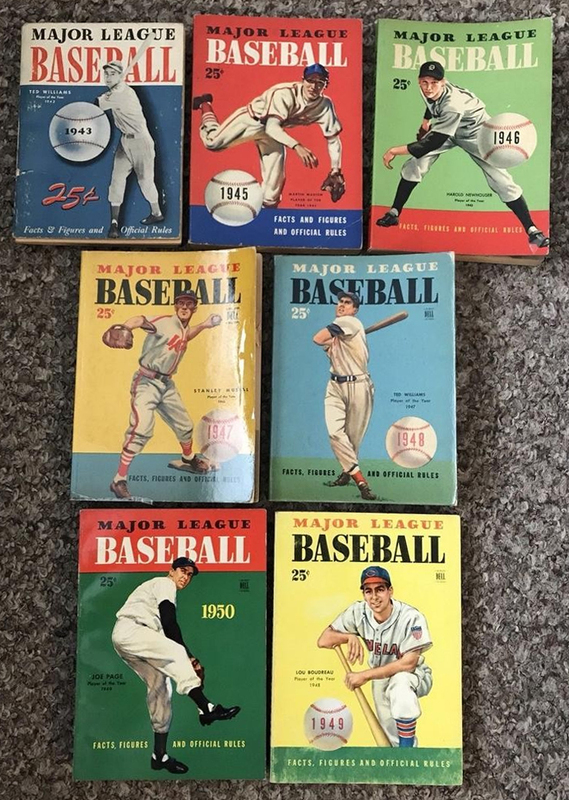 Starting in 1937, the Whitman Publishing Company of Racine published an annual paperback guide to the national pastime under the informative-if-slightly-cumbersome name Major League Baseball: Facts and Figures and Official Rules. It contained a review of the past season, stats and numbers going back to the earliest days of the twentieth century, and articles on the sport. By 1941, this was all published under a striking cover showing a league MVP from the previous season. Starting with the 1945 edition, Whitman branched out to cover the All-American Girls Professional Baseball League. And when the All-American League introduced its own MVP award that same season, the winner's photo graced the back cover of Whitman's guide. 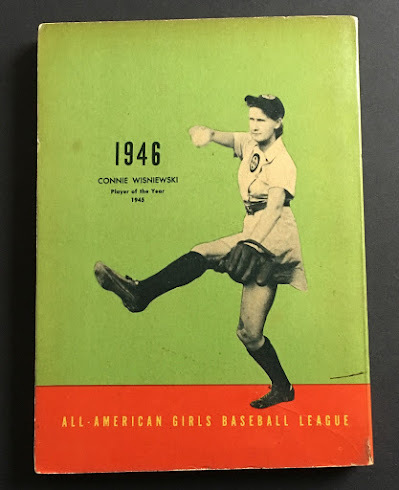 That inaugural MVP, winner of the AAGPBL's "Player of the Year Award" for 1945, year was pitcher Connie Wisniewski of the Grand Rapids Chicks. The photo chosen by Whitman had been taken a year earlier, during her rookie season with the 1944 Milwaukee Schnitts. It's a good photo of Wisniewski, and a rare look at the Schnitts' uniform, with its bold circle-M on the cap and seal of Milwaukee on the tunic. The Whitman Publishing Company was uniquely well=positioned to cover the AAGPBL; their hometown Racine Belles were a charter member of the league. Still, it's a measure of the league's success that they were included in a prominent baseball publication. 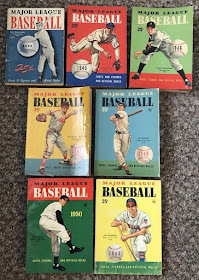 Major League Baseball: Facts and Figures and Official Rules was taken over in 1947 by Dell Publishing, who shortened the title to Major League Baseball: Facts and Figures. 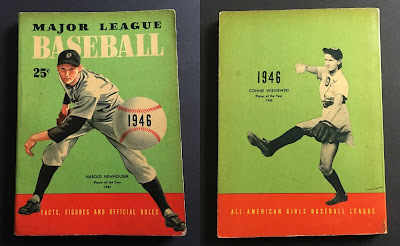 Shifting the publication from Racine to New York City didn't mean they stopped covering the league, though, with the AAGPBL Player of the Year remaining on the back cover for the next few years. Major League Baseball: Facts and Figures was discontinued after the 1953 edition, meaning that it couldn't cover the AAGPBL's final season that year. Still, it remains an invaluable resource for researchers, one I expect to use in our ongoing exploration of the Milwaukee Schnitts.